Exclusive rates and share charters available. 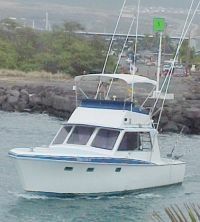 Two- and three-day overnight fishing trips to South Point! Special Internet Offers on Website. Yes, you really can keep part of your catch. Our goal is your satisfaction!